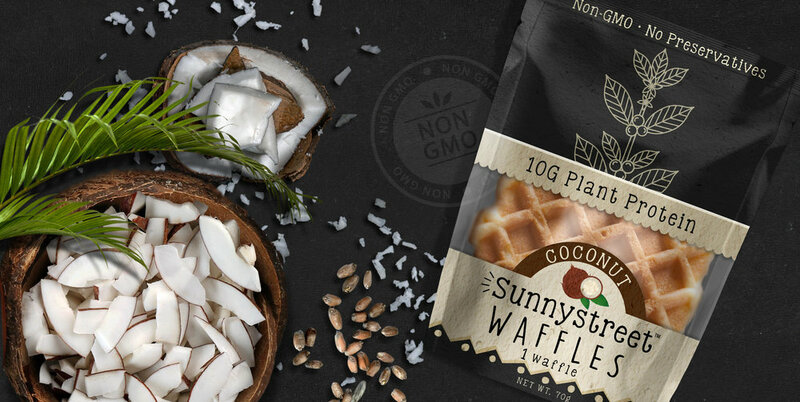 We're getting back to basics with SUNNYSTREET protein packed non GMO waffles. Our waffles are good straight out of the package or pop them in the toaster oven for a delicious warm treat. Easy to enjoy at home, at the office or on the go. Being good to yourself has never tasted this good. Enjoy a SUNNYSTREET waffle today! 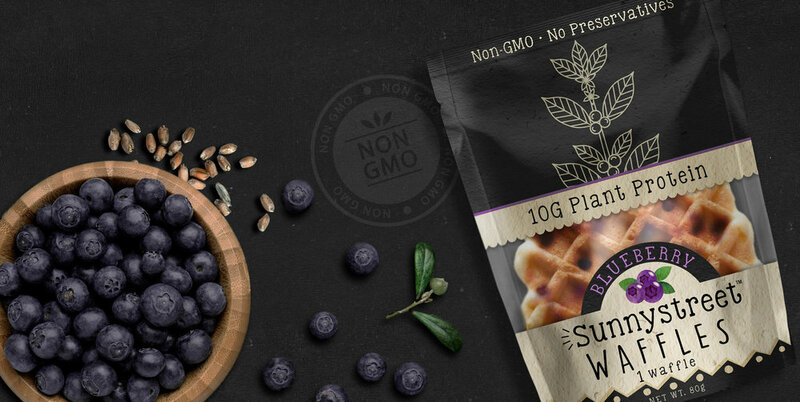 With ten grams of pure plant protein and a delicious range of blueberries, chocolate & coconut to choose from, Sunnystreet's Non-GMO and preservative free waffles are hard to beat.